HGA has directed ongoing facilities renovations and expansions for Olmsted Medical Center, including the Women’s Health Pavilion addition, which helps OMC serve “patients more thoughtfully, more strategically and more carefully,” according to James Hoffmann, D.O., medical vice president of hospital and surgical services. 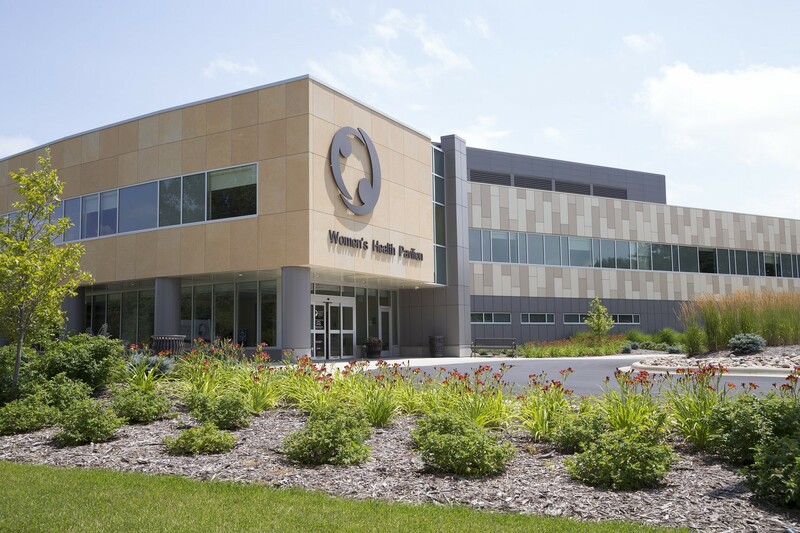 The two-story Pavilion provides a full range of women’s health services, including dedicated entrance, private waiting area, private inpatient rooms with family space, dedicated plastic surgery entrance and parking, cafeteria, WiFi, and LED lighting with room-occupancy sensors. 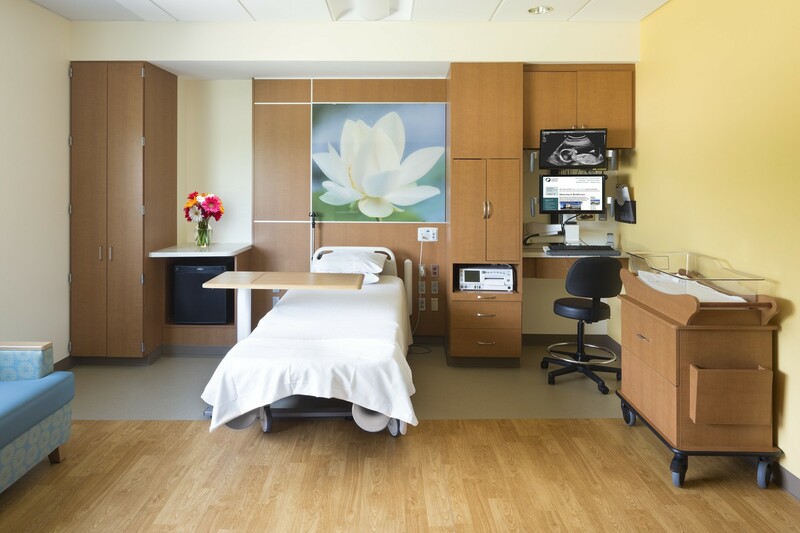 The state-of-the-art Birth Center on the 2nd floor features 14 LDRP rooms, six post C-section/observation rooms, and level 1 and 2 nursery care. Planning focuses on a one-stop-shop concept to increase efficiency, with bedside check-in that bypasses the admissions desk, and co-location of physicians’ offices on the 1st floor to promote collaborative care. Architectural features project a warm and soothing environment that softens the Pavilion’s high-tech sophistication, with curving walls, spacious patient rooms, spa-like soaking tubs, regional artwork, and stone fireplace in the lounge. Personal touches include a Still Missed Garden dedicated to the deceased, and a benefactor recognition area acknowledging OMC’s supporters.